If you are not a native English speaker planning to learn the language, either for admission to a University or to work in a predominantly English-speaking country, the TOEFL test is the best place to start and this is why it is the most sought after English test. You will find many websites offering online TOEFL test preparation and the TOEFL reading practice test is a part of this preparation. test is internationally accepted more than other available tests. If one is invited to study in a country where the native language is English, and the medium of instruction is the same, if you have done a different test apart from TOEFL, the institution will give you the test. TOEFL makes it easier for universities across the world to gauge your English skills more efficiently and is thus used as the standard measure in a majority of higher learning institutions. Compared to other tests, TOEFL scores are considered more accurate and credible. Top universities in the US, Australia, and the UK depend on TOEFL tests to admit their students. It is a mandatory requirement criterion for admission. In total, over 7500 universities, spread in over 130 countries use TOEFL tests for potential students. This presents a wider variety of institutions for students to choose from and opens up more learning opportunities for a student’s convenience. The tests can be conducted up to 30-40 times annually, providing an excellent opportunity for students to perfect their English, all year round. With over 4500 TOEFL test centers in 165 countries, it is easy for anyone to access this vital test. Also, it saves on time and travel expenses in comparison to other tests that have to be taken only in designated places. This means that there is always a TOEFL test center within easy reach. Thanks to technology, there are numerous tutorials and study materials online readily available that provide useful guides to assist you in studying for the test. The study materials cover the entire test syllabus, and also offer past tests to help you get a perfect feel of how the real exam feels like, and how you are required to answer the test questions. This helps you to prepare well while saving you time on searching for study materials as they readily are available at the click of a button. 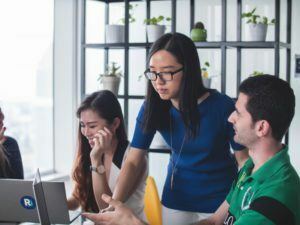 When taking a TOEFL test tutorial, it is not just all about theory as the learning process involves teaching English just as if you were in a class. You will be asked to read passages aloud, listen to the provided lectures and give responses in learning as well as writing. This strategy of learning has been proven to help students grasp the English language faster, due to the academic and classroom environment it provides for learners. The writing sections are timed to help you train you to be time conscious when taking the real exam. The grading process is considered fair and meets international standards. One of the most acclaimed sites that offer the best TOEFL Test tutorials is Magoosh. With over 1.5 million students that have successfully taken the tutorials and other online courses, it is the best place to start your English language learning process. The stress-free and flexible studying approach that Magoosh offers allows students to study at their convenient times without undue pressure, providing a pleasant learning experience. With invaluable experience in helping students perfect their English, Magoosh, which is a five-star rated site, will help you achieve your dream and open up a new world of possibilities that you never imagined possible. One of the essential features of a Magoosh TOEFL practice Test is the simple yet stylish design of the site and software. This makes it easy to use, and to navigate making anywhere you want to go smoothly within reach. This fact considerably reduces the time it takes to find the essential things coupled with the lack of extraneous information. The speed at which the site loads is also remarkable. Another significant advantage that the Magoosh TOEFL online practice test has over other sites is the availability of vast amounts of study and practice material. With over 330 practice questions, explanation and lesson videos, your preparation for the actual test is on the right path. Each practice question is accompanied by an explanation video and comes with ideas, strategies, and the most common mistakes that are made when speaking English. That is the reason why Magoosh students have a high success rate. So good is the preparation that most students can predict the questions that will appear in the final exams. Since the Magoosh TOEFL practice test is for those who have previously taken it and failed, Magoosh offers a money back guarantee, if you do not improve your previous test score by more than 4 points. That is the level of confidence that Magoosh stakes on its English tutorial. The tutorials also guide you from the basics to advanced levels within a short period, ensuring that you understand each step of the tutorial with help always readily available to assist in any way. The Magoosh TOEFL Test Tutorial can be undertaken whenever and wherever you may be. That is a strong selling point for an online course. It also saves you on costs as hiring tutors is a costly undertaking. You will also have to be at a particular place, at a certain time, which is not always possible. So you do not have to postpone any plans of travel that you may have to take the tutorial, you can learn from any place that has internet connectivity. The different packages that Magoosh offers range from one week, for last-minute studying, to six months which takes you up to the advanced level. The variety and flexibility of the tutorial ensure that there is a package for all your needs as well as for every budget. Also, it offers to study at your convenience and time whereby you can temporarily put off your studies and pick it up later from where you left off. The teaching team at Magoosh comes with a wealth of experience, adding a lot of value to the TOEFL Test Tutorial and all the other Magoosh courses that are on offer. For example, there is Lucas Fink, a graduate of creative writing from Bard College who teaches English Grammar and standardized tests, and with seven years experience. Kristin Keating, who is a Ph.D. holder, and an English tutor, among others. The team continually reviews the courses adding more relevant material to suit all your educational needs, and the tutorial also evolves technologically with the launch of new apps, sales growth and the constant expansion of the premier online tutorial company. This adds immense value to the prospective student while at the same time assuring unparalleled quality to the online courses. Any queries that may arise from learners are expeditiously addressed in the shortest possible time by the team of Magoosh experts ensuring a smooth and uninterrupted flow of the learning process. 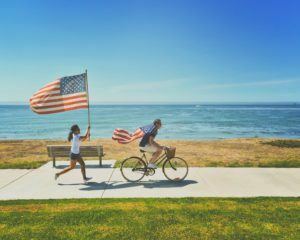 According to the structure, approach strategy and content of the TOEFL online practice test, it guarantees results owing to the large number of students who have tried taking the test elsewhere with limited success. The explanations and the step by step guide ensure that everything taught has a high level of comprehension. This works well especially for learners who have limited time and resources to study and need to pass the tutorial to gain admission to institutions of higher learning. An estimated 360 million people worldwide speak the English language. This fact makes it one of the most prevalent dialects on Earth. This shows that having proficiency in English is a valuable asset that can open doors for you. There are numerous online courses on the market whereby non-English speakers can quickly learn the language. The classes come in various forms, from audio tapes, written material, to video courses. 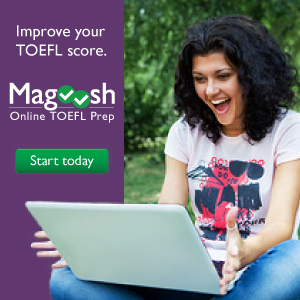 The Magoosh TOEFL online practice test has been tried, tested and proven to be efficient. 1.5 million learners and counting cannot be wrong. The quality, dedication, and brains that go into the Magoosh syllabus make it one of the most sought after online tutorials on the web. Its simplicity, ease of access, affordability and quality learning materials make it a market leader, and you do not have to search any further for a suitable TOEFL English tutorial. Enroll today and see a world of difference in your English language skills. Hi Salim. The highest TOEFL iBT test score is 120 points. Each of the four test sections gets correspondingly 30 points. Concerning your second question, the Magoosh tutorials are produced starting from the reviews that they receive: students express there their needs and judgments. In this way, tutors can continuously improve those tutorials. This seems like an amazing opportunity to study and improve English language skills. I have never heard of TOEFL before but you made me interested in it. I plan to improve my English skills as I currently have a C1 Level Certificate from the University of Cambridge. If I plan to upgrade my current level I will definitely check out Magoosh! Thanks for this article. Hi Simon. Certainly Magoosh will help you, you will see. Good luck in all your endeavors! This is such a helpful post for people learning English. I live in New Zealand and I have always wanted to help people learn English as they say it is a difficult language compared to many others and seeing this article today is so great. I will refer people here a lot as I know a few french speaking people who dearly want to learn English as a second language so thank you so much for this. Indeed, many people want to learn English and prove their knowledge. 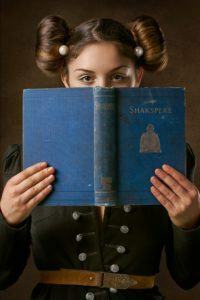 English continues to be a necessary ingredient of a successful career. Thanks for your kindness. Thanks for shedding light on the issue of TOEFL. I have always known TOEFL to be a very standard exam to assess proficiency in English Language. TOEFL scores as you have mentioned in your post are very credible and also accurate, Though not every candidate that partakes of the test do have a pass mark. It’s sad to know that some fail the test and need to re-take it.Compared to other assessment tests, I feel TOEFL is the most recognized English language test. Please I would love if you can make a further post on the steps involved in applying for TOEFL and the current price it takes to apply. Thanks in anticipation. Hi Dapoach. Thanks for your suggestion. Certainly, I will do it soon. It is always a wonderful thing to get feedback with what your readers need and expect from you. Before today l had never heard of the TOEFL test. But just reading through your article, I can see how important it is for millions of people looking to learn English. I also like the fact that you can take your studies with you if you’re using Magoosh. Overall l feel your article has a wealth of information for those looking to learn English, it was clean and precise, job well done. Hello Nicole. Indeed, Magoosh is a great website where you can find one of the best online TOEFL preparations. I am glad that I could be helpful.